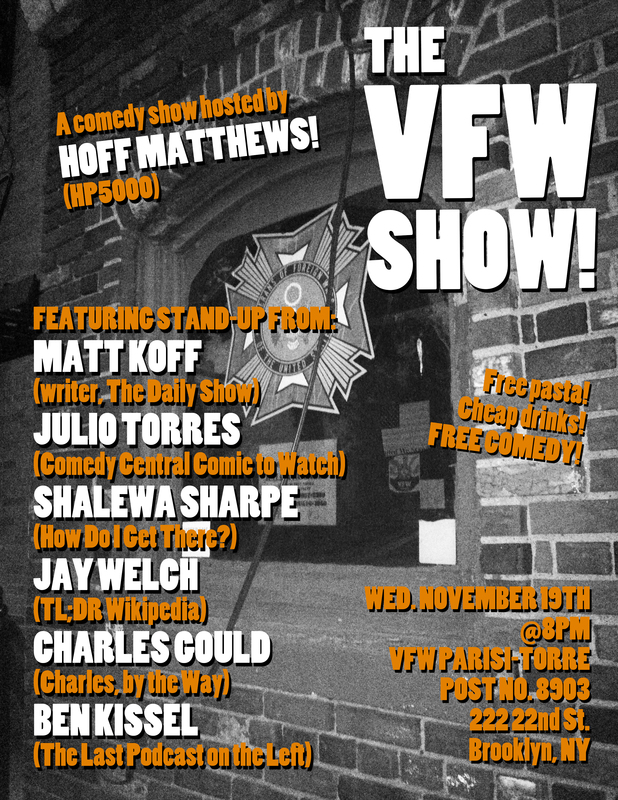 Upcoming Show: The VFW Show (November)! Matt Koff (writer, The Daily Show)! Julio Torres (Comedy Central Comic to Watch)! Shalewa Sharpe (How Do I Get There?)! Charles Gould (Charles, by the Way)! and Ben Kissel (The Last Podcast on the Left)! Note: Everything’s free except the drinks, which are cheap (and there’s no minimum), so be nice to our bartender and don’t BYOB. ← Upcoming Show: Hoff’s Horrorfest Presents: PRINCE OF DARKNESS!